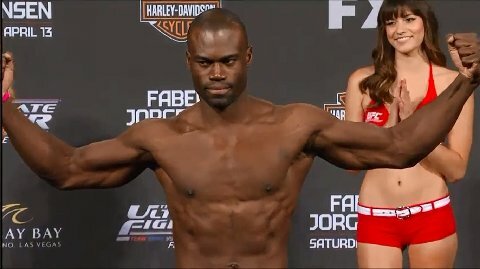 UFC Fight Night 73 has picked up an eleventh bout, as the promotion has announced that middleweight Uriah Hall will battle Joe Riggs at the upcoming event. The August 8th card will be hosted by the Bridgestone Arena in Nashville, Tennessee. Hall (10-5) is looking to get back on track after he was narrowly decisioned by Rafael Natal in May. The feared striker had won three in a row prior to the loss. Riggs (40-16) has gone 0-2 since returning to the UFC last year, and most recently, he was decisioned by welterweight Patrick Cote. Riggs was on a six fight winning streak prior to his UFC return. UFC FN 73 will feature a light-heavyweight fight between Ovince Saint Preux and Glover Teixeira in the main event.